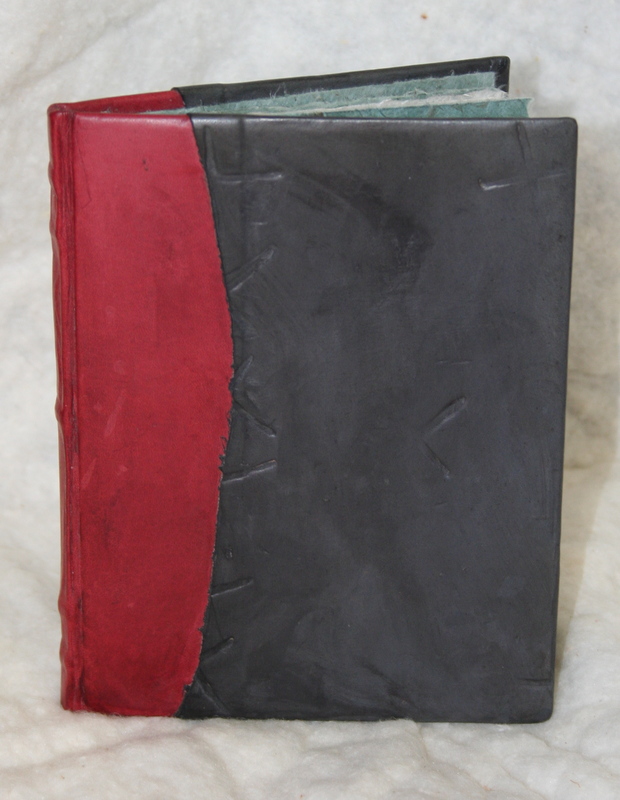 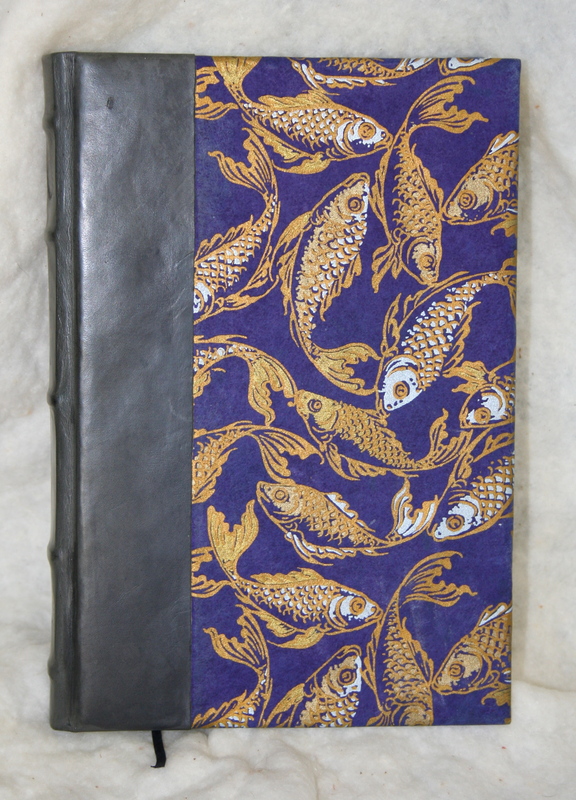 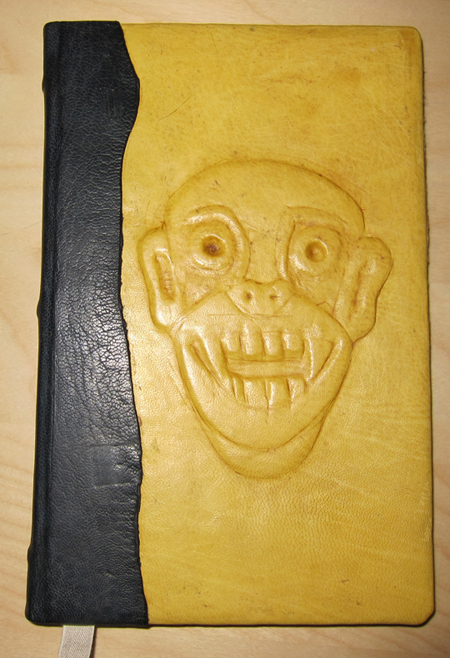 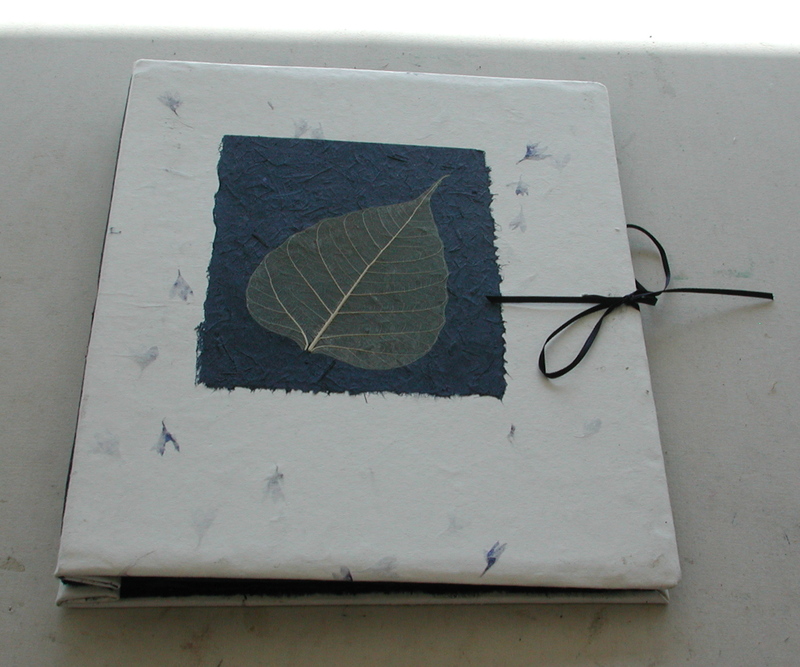 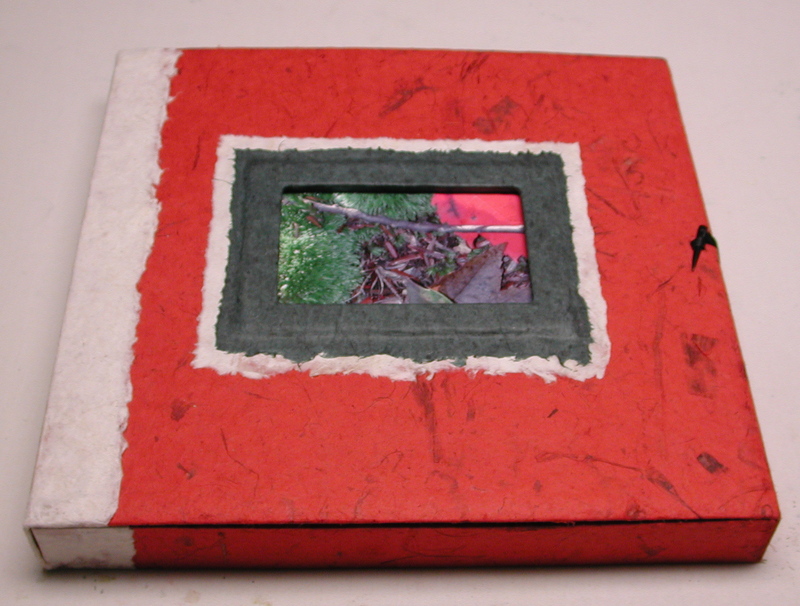 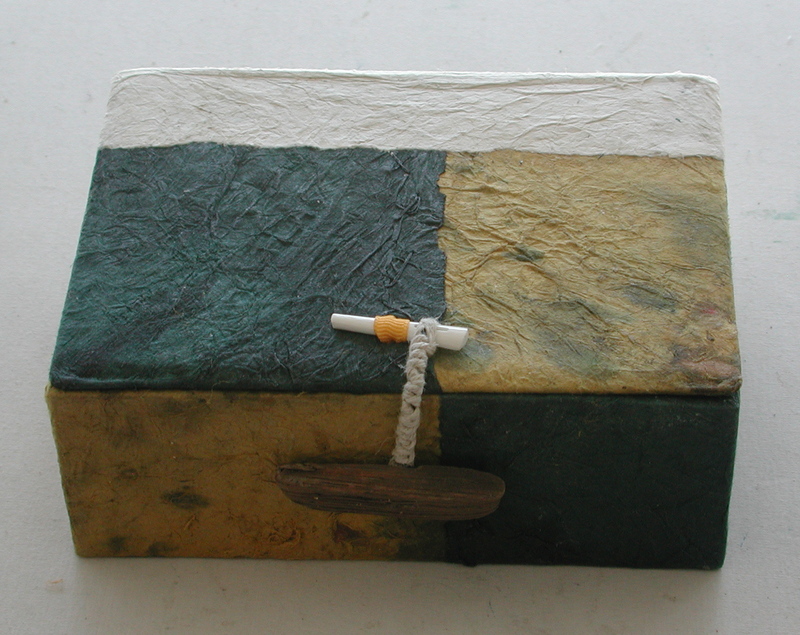 As a lover of books, of ink and paper, bookbinding was a logical challenge for me. 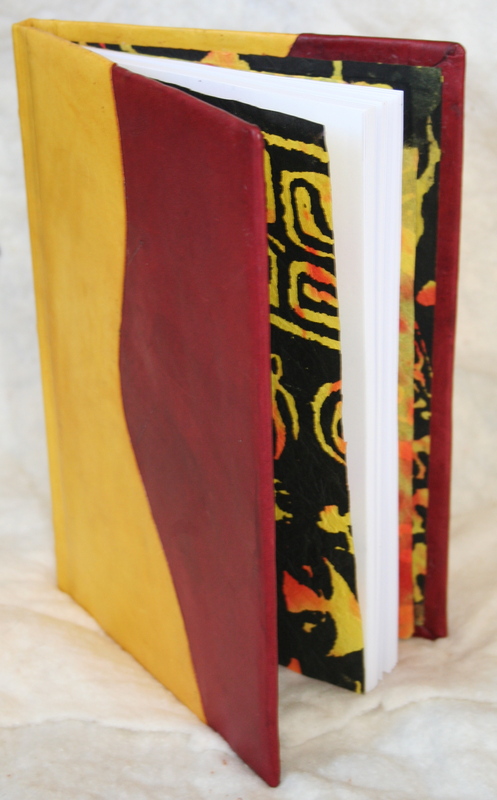 I first began binding small runs of books and creating portfolios for friends who were in art school in college in the early 90s, which led me to read up on the craft. 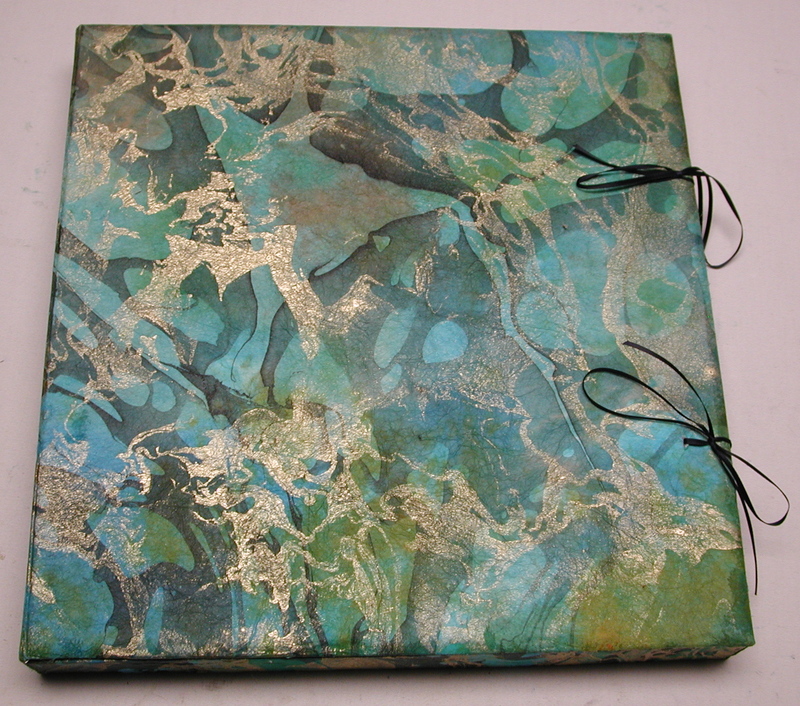 Since then, I have always hand-bound my own journals, and have created hundreds of blank journals, photo albums, scrapbooks, limited series special editions, boxes, and portfolios. 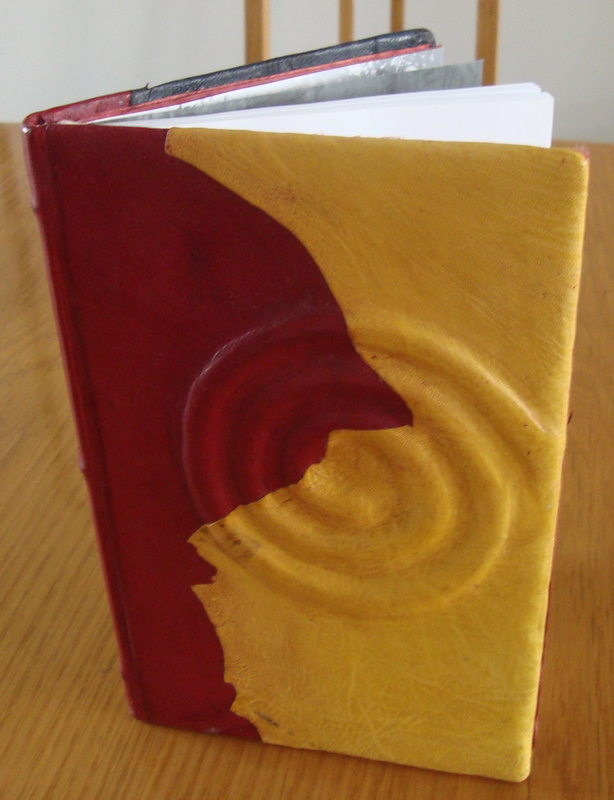 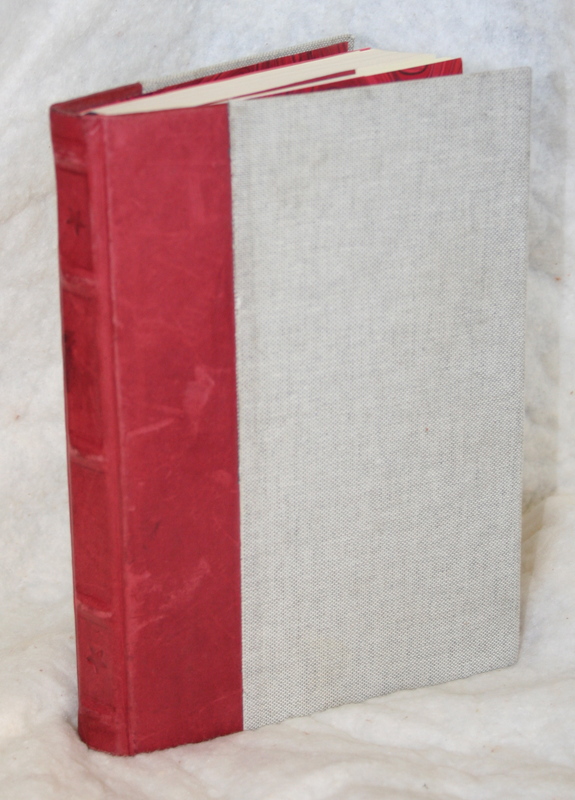 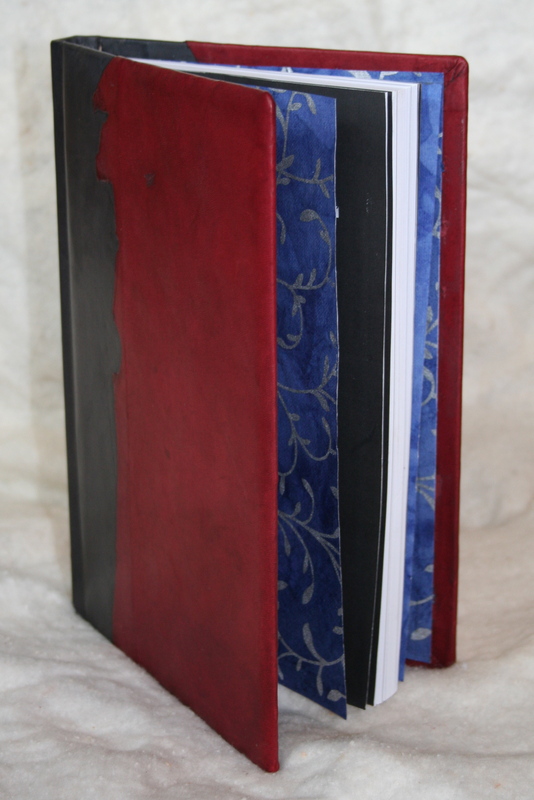 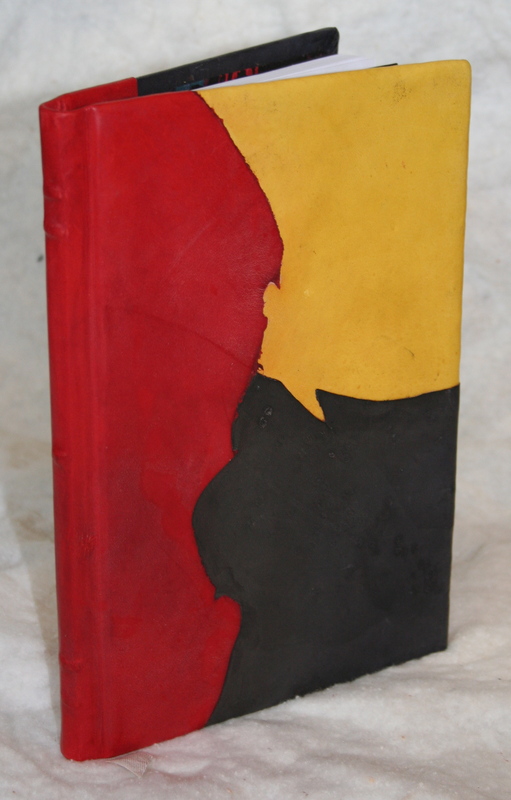 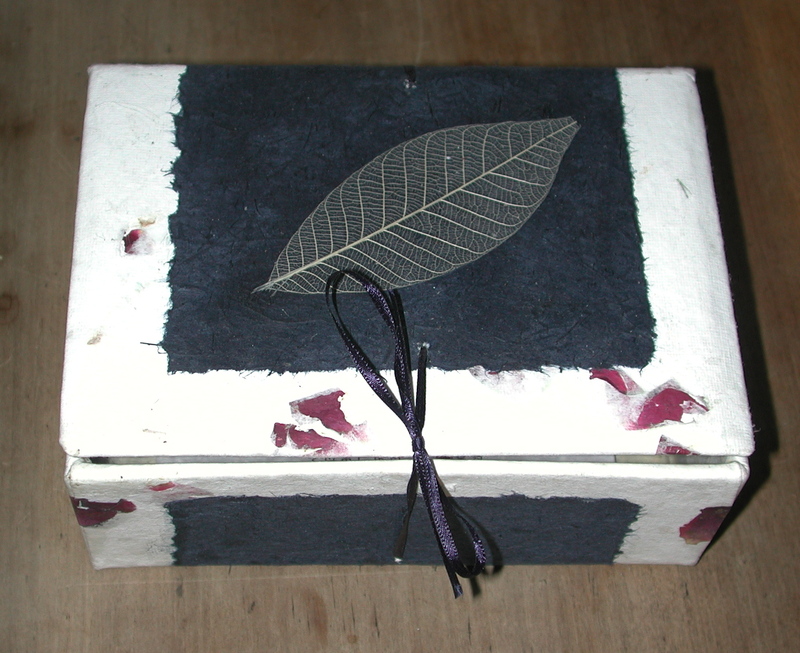 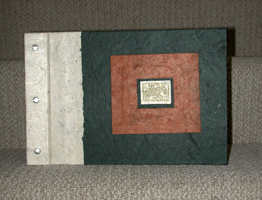 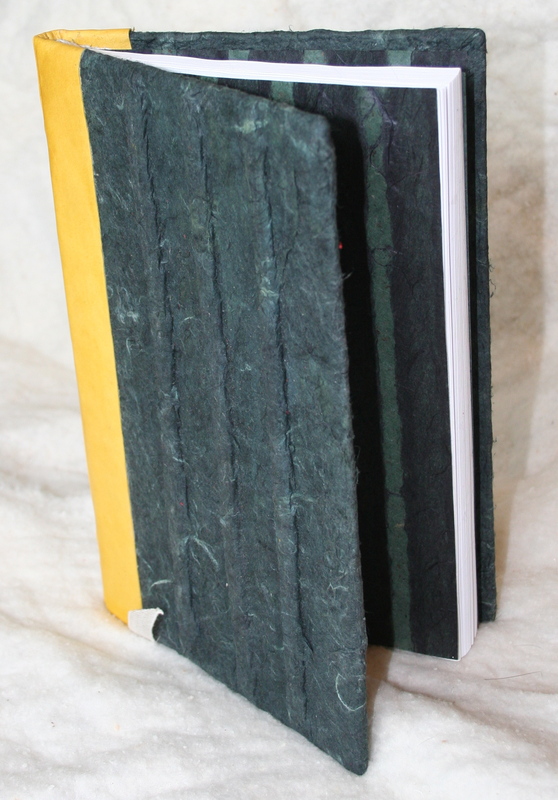 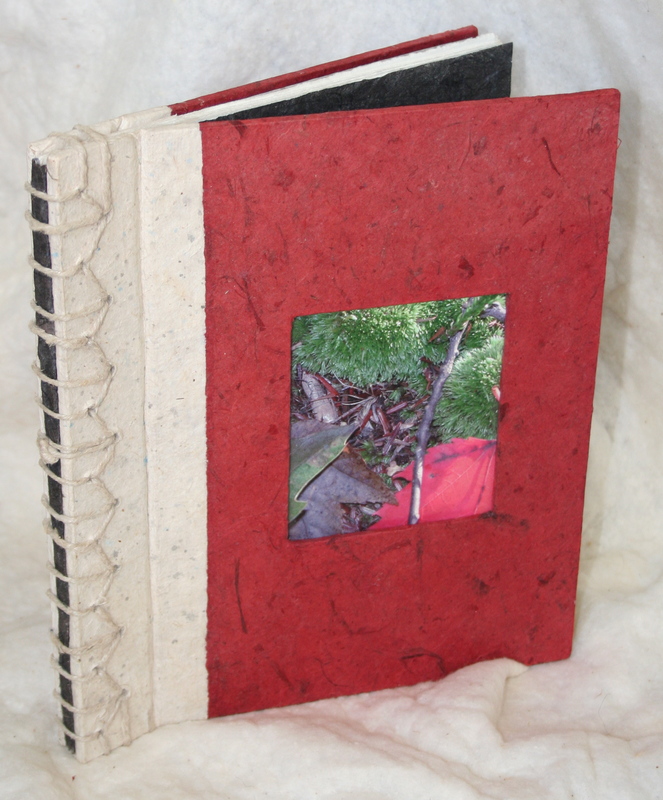 Hardcover blank books, made as gifts or to auction for charities. 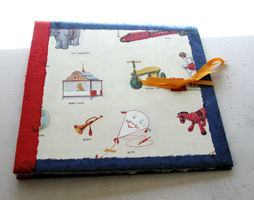 The interiors are hand-stitched case blocks of fine art papers. 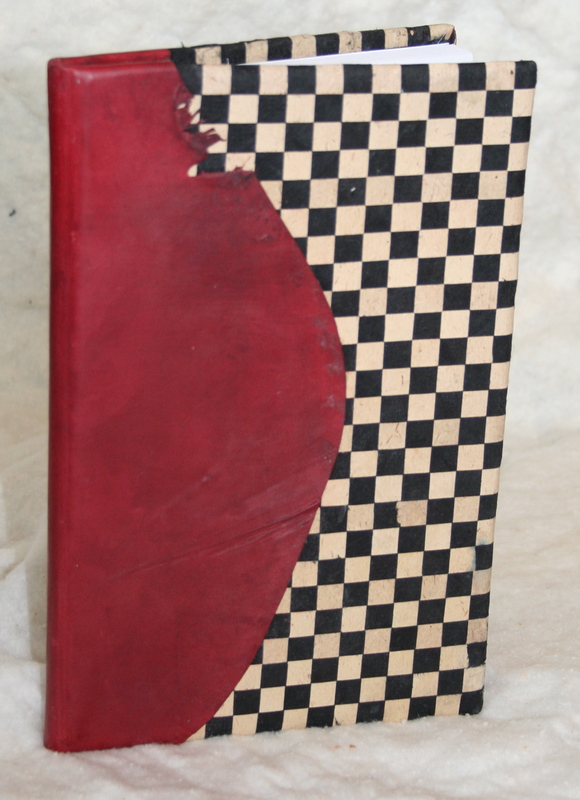 The covers are cloth, papers, or leathers over Davey Board. 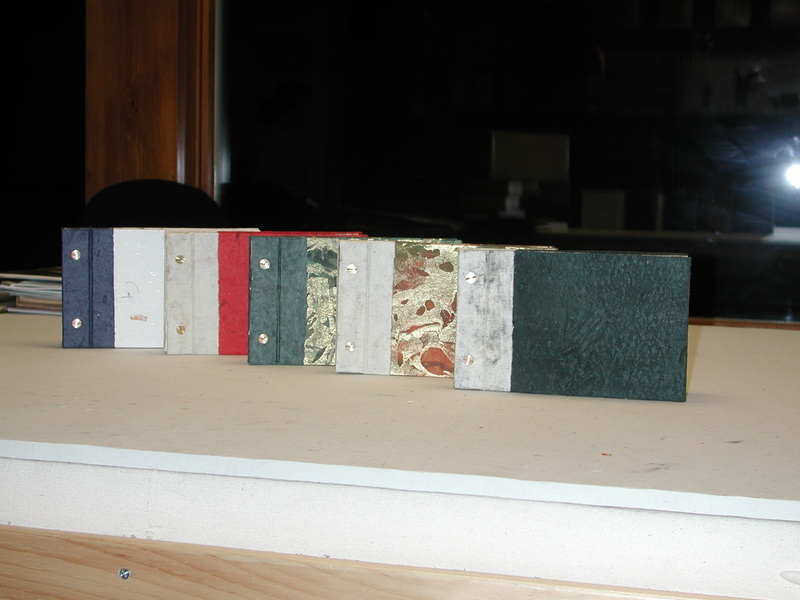 Raised spine effects are merely attaching small strips of shaped leather to the spines before wrapping. 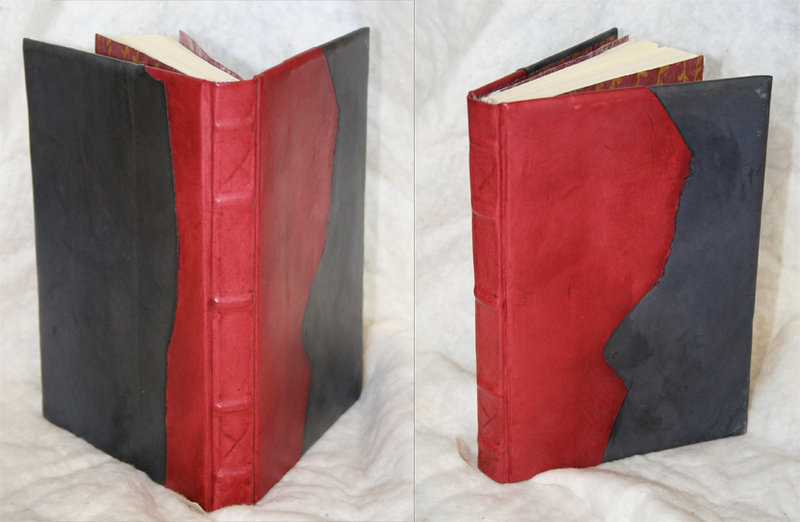 Hardcover conversions of perfect-bound books. 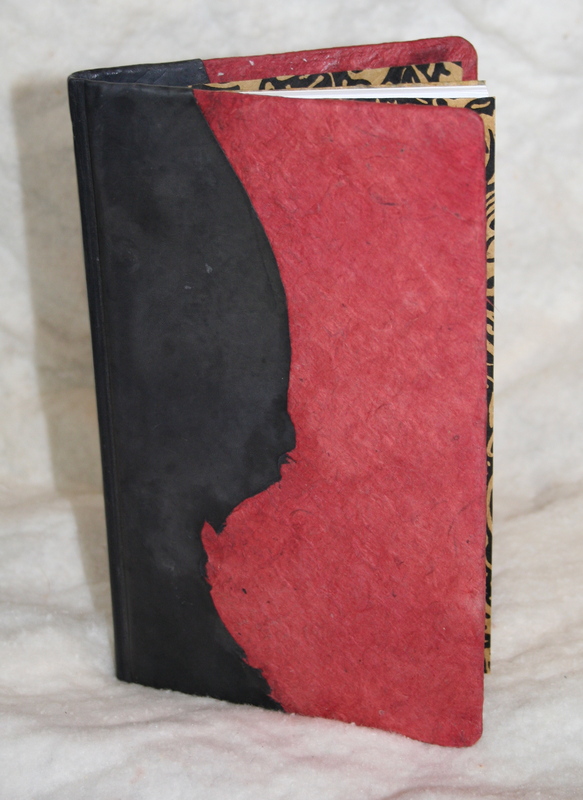 Kangaroo leathers, cloths, and papers over Davey Board.The relief effect seen in some of these is created by affixing either an image carved out of Davey Board or, in some cases, cotton cords, to the cover board before wrapping. 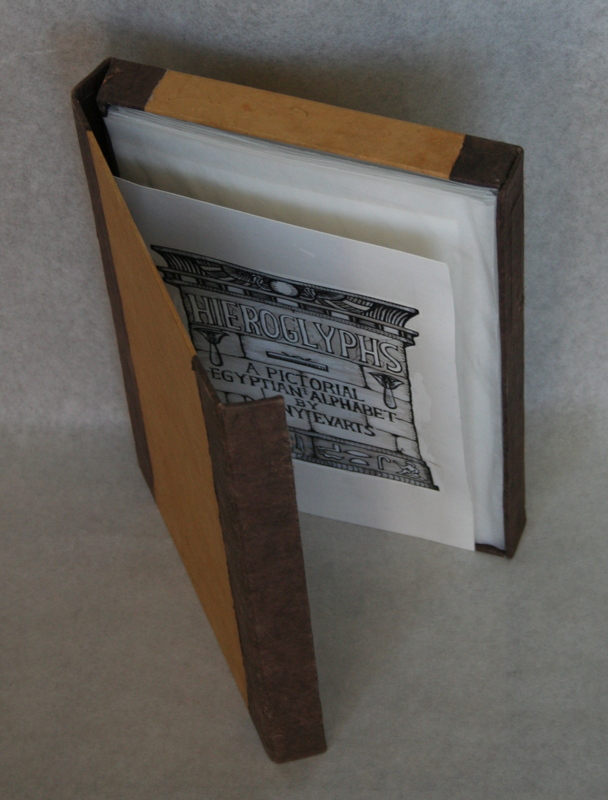 Limited runs of printed books. 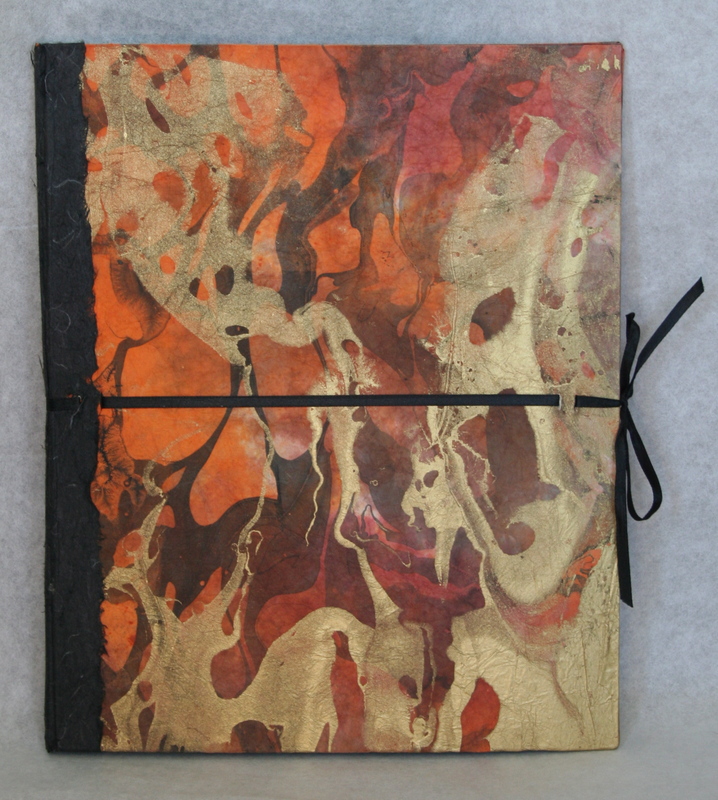 The interiors are printed on fine art papers, then hand-stitched into signatures. 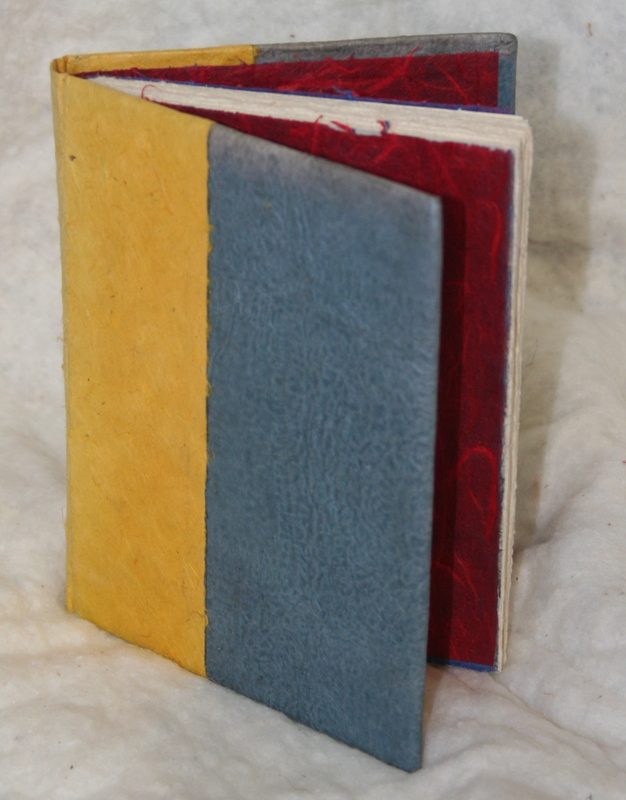 These are then given a Davey Board and cloth or leather cover. 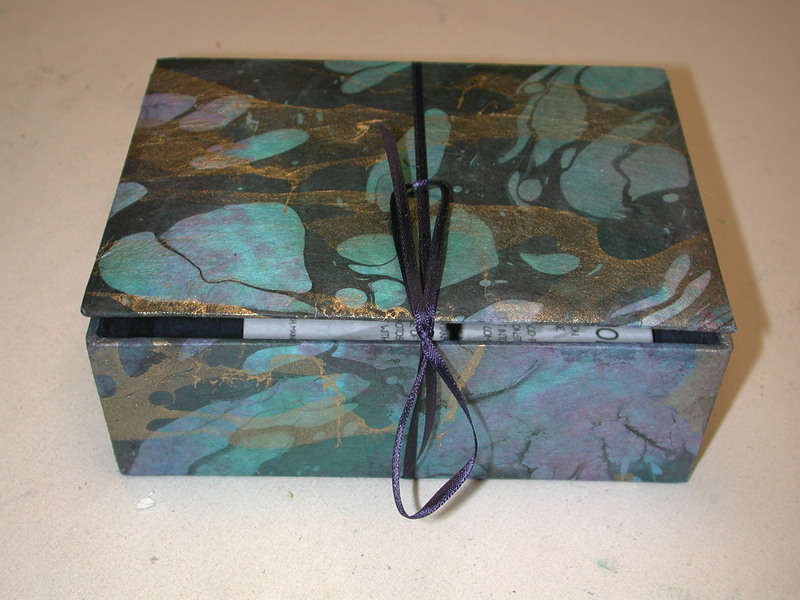 Great for gifts or merely a personal challenge. 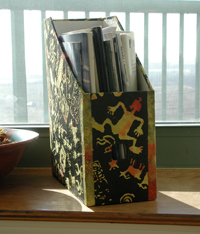 Post or stab bindings of fine art papers in the interior. 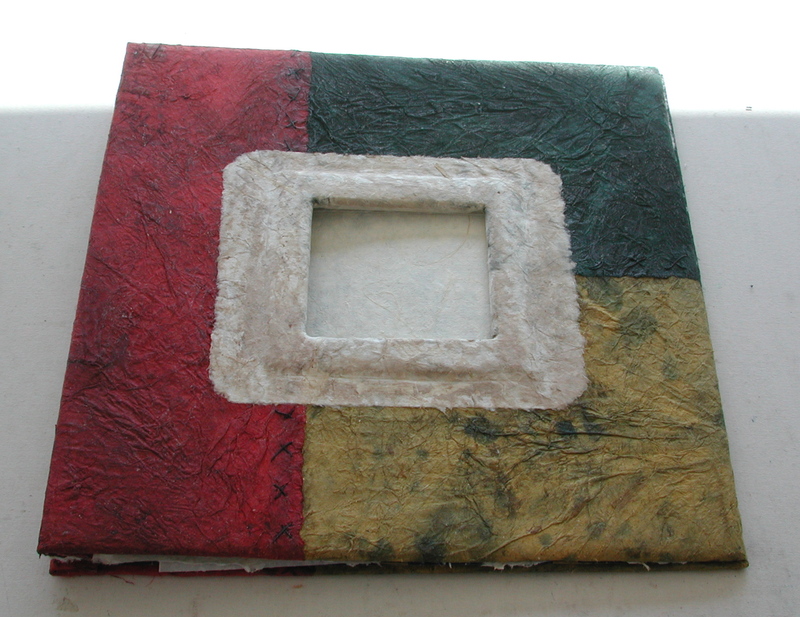 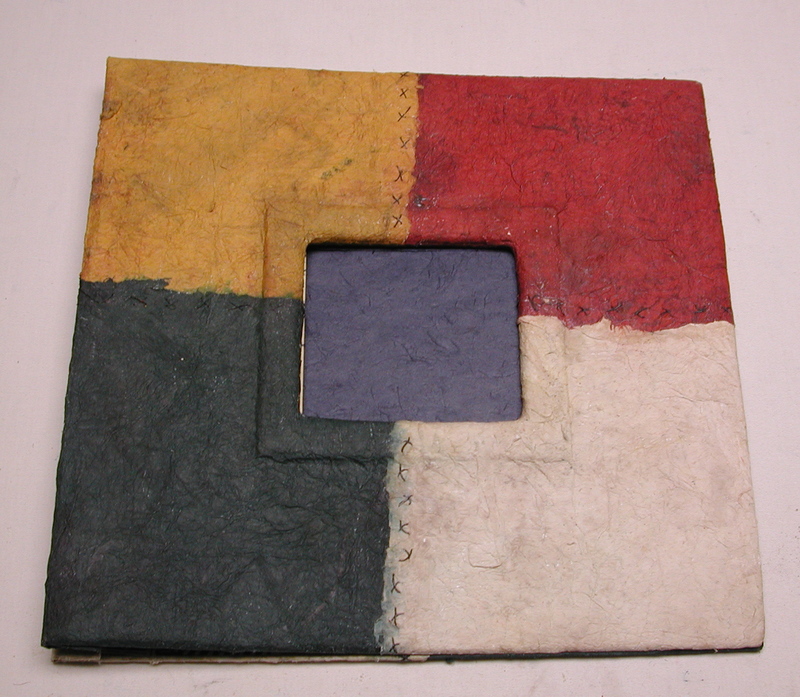 Covers are Davey Board wrapped with paper, leather, cloth, or a mix. Many have pockets in the front covers for photos to be inserted. 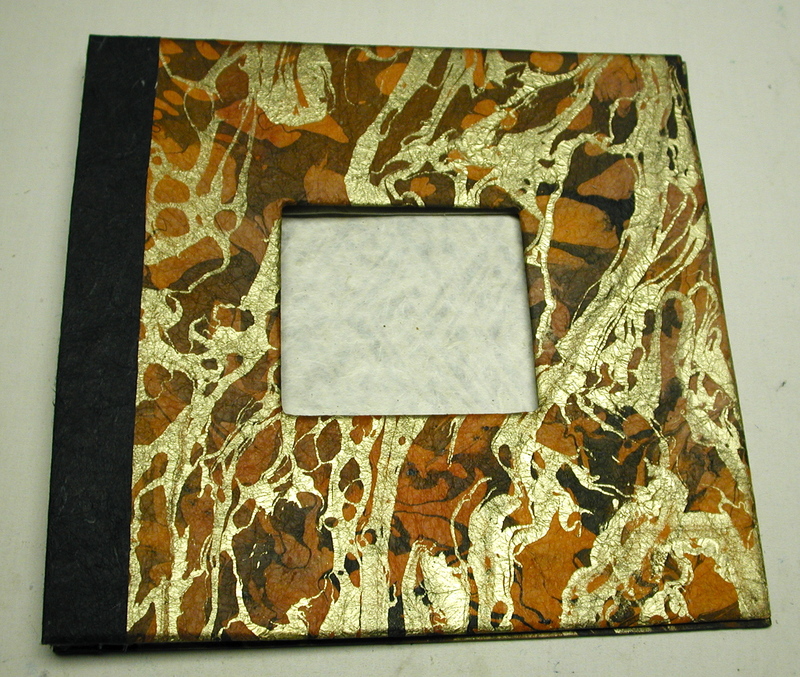 Things need to be held together, whether it’s a series of prints or drawings, antique books that need protection, magazines, scrapbooks, jewelry, or merely little rocks and found objects. 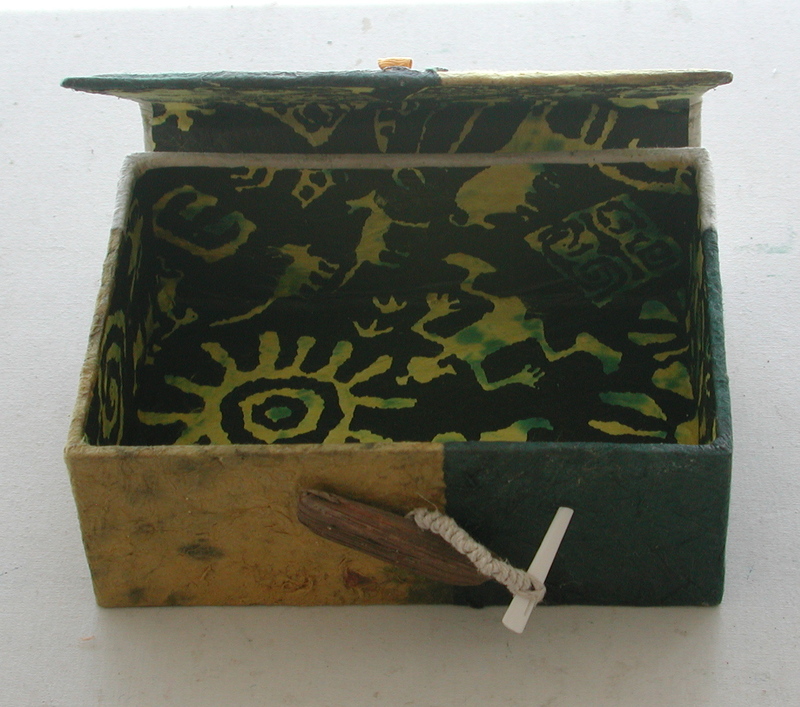 Everything has a place, and everything in its place—even if you have to create that place yourself.